Having a website can seem overwhelming. You know your small business needs one so you figure out a way to get your first site, whether it was a relative or friend who helped you or you found a cheaply-priced DIY (do-it-yourself) service. You get your website online and now you learn about all these other foreign-sounding things you need to do for it like SEO. What is SEO? Maybe you overheard another business owner talking about it or maybe it’s from one of the 5 weekly calls you get from marketers promising they can rank you #1 on Google for some number of weeks. Is that as important as they make it sound? Your time is limited and valuable. What reasonable action can you take? SEO stands for search engine optimization. 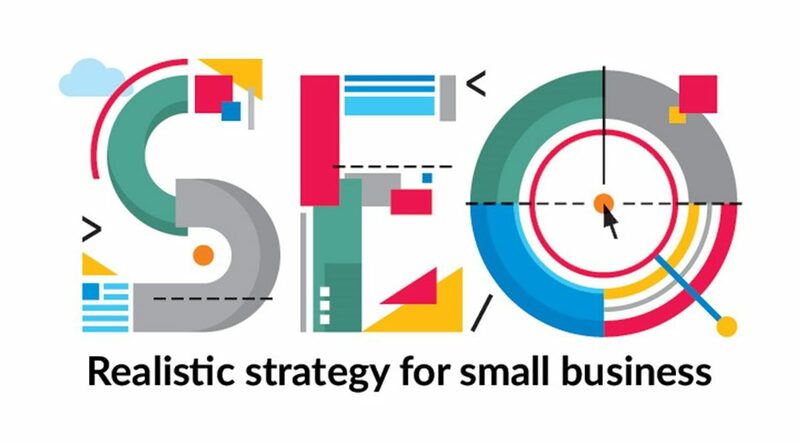 In a nutshell, search engine optimization is the process of telling search engines about your website and optimizing your website content toward certain search terms. This is done in hopes of ranking better in search result listings and, ultimately, driving more traffic to your site. A search engine is a service that catalogues the internet and lets you search it via keyword phrases. Google, Bing, and Yahoo are the primary companies in this space but there are others. As a small business owner, you will want a strategy that focuses on the biggest bang for your buck. You won’t have time to optimize to rank on all the engines. In the US, 68% of all search engine traffic comes from Google (source). Bing is at 20% and Yahoo has declined over the years to around 10%. As with everything, you could look at this many ways but since you’re here for my advice, I’ll cut to the chase. Optimize for Google. Those efforts will mostly likely translate to positive reward in Bing and Yahoo anyway. Some folks will disagree with me here and that is ok. I would argue that your goal is to be on the first page of results. If you can get in the top 5, that’s good enough. I need someone to remove bats from my attic (true story, ugh!). What gyms near me offer spin classes? These kinds of searches are not the kind where you always hit the first link and go – most people are going to scan the results. What is important is you get on the first page and that what they see in your search listing speaks to their need. It is a balance between trying to rank and trying to get clicks. If you have to rank #5 but your SEO copy gets you clicks, many search engines will take that into account over time and you will eventually rank #1. Stay the course. Clicks win. Doing search engine optimization for a small business website can be done rather easily. Larger and national businesses face bigger challenges than most of you since their target search terms are highly competitive and the stakes of ranking 1st and 20th can mean loads of money for them. Since you are a smaller, local business, you are also going to benefit from efforts of search engines to prioritize local business websites. They currently believe if you are looking for alteration services, you probably want to see results near you. So, lucky you, small business owner. It’s likely that a minimal amount of effort will return better rankings and, hopefully, more visits to your website. Here are 3 basic SEO improvements you should do, right now. These quick wins have reasonable impact and do not take much time to implement. The title tag is an HTML tag that is in between the <head> and </head> of your web page. It controls the text that shows up in the browser tab. It is also displayed as the text of the link in your search engine listing. The title tag on each page of your website should be unique. Use the search phrase you’re trying to rank for once in your title. It’s a good idea to put your company name and some location info here too but keep it short. The first 65ish characters are the most important. The big takeaway should be not to just hit the bold button in your editor. Your page should have an h1 header and it should probably contain either your business name or a phrase that contains your search term. If the search term isn’t present in the h1, make it present in an h2 somewhere shortly down the page. If you don’t understand all this “tag” talk, it’s a good time and idea to learn a bit of basic HTML. If this is you, go take the Introduction to HTML on codecadamy. Search engines read your content and make decisions based on its structure. The biggest impact can be had by just having some good headers but having a grasp on other HTML tags and using them properly may benefit your rank as well. This is the expanded copy people will see under your link when you show up in search results. This text does not have to contain keyword as it doesn’t affect ranking. This copy does affect clicking, though, so make it relevant to the immediate needs of those who will see your listing. Write something that will draw people to click. This is what the meta description looks like for idestini.com. Do these things and be patient. Your rankings will not change overnight. If you aren’t seeing improvements (aren’t seeing your site on the first page) within 2-3 weeks, send me a note or leave a comment here and let’s see if we can do better. I’d love to help you. Also, check back next week and I’ll teach you about two tools you can setup to help understand what search terms your site is ranking for and if people are clicking through.